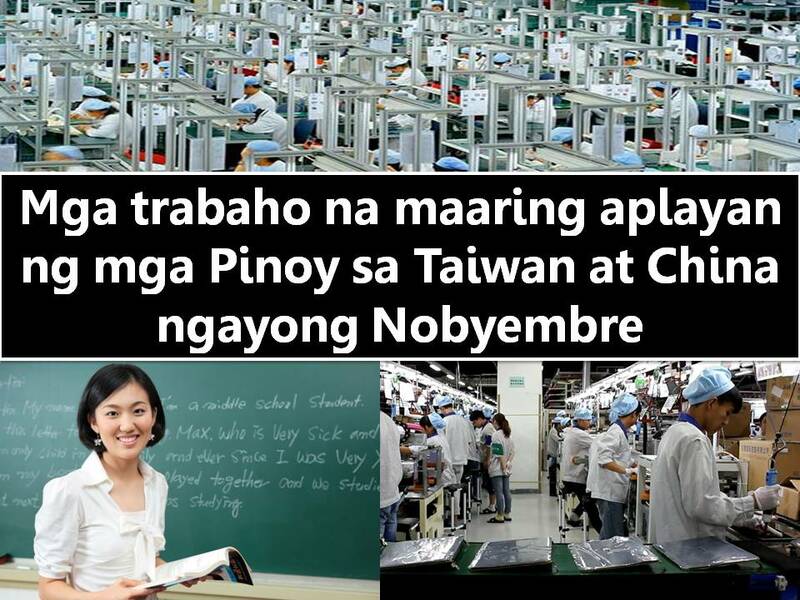 Taiwan and China are looking for Pinoy workers. Here is the list of job opportunities from POEA website bound for two countries this November. They are looking for factory workers, caregiver, nursing aide, and teacher.